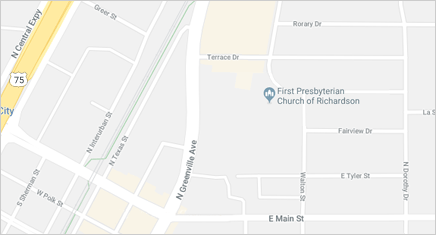 In early 2012, the congregation voted unanimously to call the Reverend M. David Schaefers to be the Pastor of First Presbyterian Church of Richardson. David, his wife, Leigh, and their two daughters arrived in May, excited to return to Texas and to be a part of this congregation. David Schaefers was raised in Tyler, Texas where he was baptized and confirmed in the First Presbyterian Church. He was an active leader in youth group, special worship services, mission projects and Boy Scouts. Members of that congregation were the first to suggest that he consider entering the ministry. David, however, did not have ministry in mind; he thought he wanted to be a lawyer. It was in a Constitutional Law class at the University of Texas at Austin that David realized that the legal field might not be his vocational calling. Instead, after graduation, David became the manager of the Dallas Rand McNally Store at NorthPark Mall. 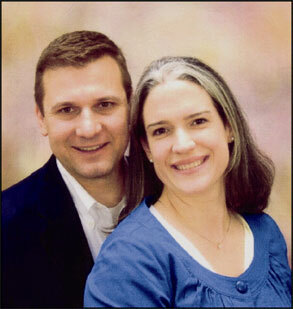 He and his wife, Leigh, joined and became active members of Preston Hollow Presbyterian Church in Dallas. There, David completed a 32-week “Disciple Bible Study” and was invited to teach the course the following year. As he led the weekly classes, David began seriously contemplating a life of ordained ministry. He attended Perkins Seminary in Dallas for a year before he and Leigh moved back to Austin so that he could attend Austin Presbyterian Theological Seminary. Following his 2007 graduation, David served in a temporary capacity on the staff of University Presbyterian Church. David’s ordination took place on Pentecost Sunday at Preston Hollow Presbyterian Church in May of 2008. The next day he and his family moved to Charleston, South Carolina, where David served as the Associate Pastor for Westminster Presbyterian Church. David is a warm and energetic person, and brings both passion and purpose to his ministry. He loves people and is deeply committed to pastoral care. Home and hospital visitation are an important part of his ministry. He relates well to youth and young adults, and is vitally interested in Christian Education. He says: "My ministry is shaped by prayerfully promoting genuine discipleship for all ages and stages of God's people—and by letting God do the rest." David and Leigh (who was born and raised in College Station) were married in June of 2000. David and Leigh have two daughters.